As a non-profit arts organization, SYT depends on individual donations. Accessibility to the arts is a vital part of our mission, so we keep ticket prices affordable. This allows people of all economic means the ability to experience professionally directed, live musical theatre. Your donation enables us to provide on stage theatre experiences for the youth of our community. How can you give to SYT? There are many opportunities to become involved in the theatre. Volunteer, become a donor, audition for a show, attend our special events. Choose how you can help create extraordinary theatre! SYT welcomes donors at all levels. Supportive people just like you donate amounts ranging from $1 to $25,000. Financial support from individuals is critical to SYT’s ability to continue with exceptional live theatre. You can support SYT by becoming an official sponsor of any theatre event. Sponsorship opportunities are available at a variety of levels and offer significant benefits. Contact us for more information. SYT offers a broad range of opportunities to support our work with youth. Started in 2006 to give youth an alternative to hanging out on the streets, SYT has expanded to provide performance training skills through the medium of musical theatre. 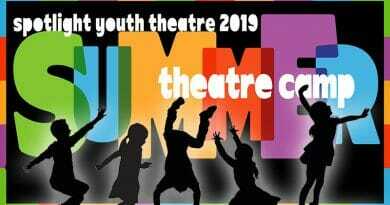 SYT is an award winning theatre with a strong mission dedicated to serving the youth of the valley. Companies aligning themselves with SYT can be confident that donations are prudently spent. To explore how your company might partner with us, please contact us. Mail the form to Spotlight Youth Theatre, 10620 N. 43rd Ave., Phoenix, AZ 85304 along with your donation. Matching gifts often double your giving power, and help SYT meet its goals. Over 1,000 organizations in the United States match their employees’ gifts to non-profit groups. For more information on supporting us, contact us.